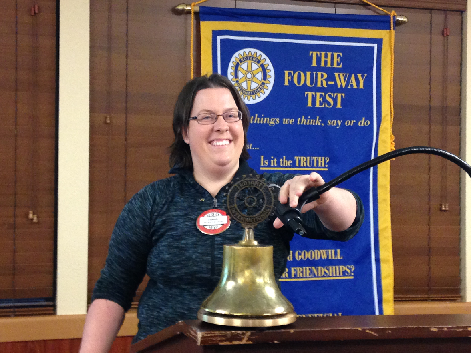 New member, Brandi Coyner, spoke to Sooner Rotary about her research experiences and recent accomplishments. She started by answering the question “What is it you do exactly?” where we were introduced to behind the scenes at Sam Noble Museum. She shared how new species are discovered and how possibly endangered species are documented. Coyner even brought along some friends, stuffed rodent specimens from around the world and two of which were described as new species by Coyner and colleagues, that proved to be popular guests.